Rwanda President Paul Kagame is on Sunday expected in Kampala to meet President Museveni in what is seen as an attempt by the two leaders to ease diplomatic tensions between the two countries. 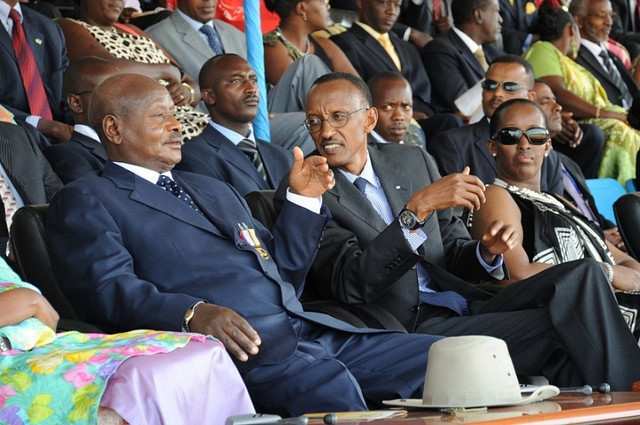 Mr Kagame, who is on a one-day state visit, will hold talks with President Museveni at State House Entebbe. The visit comes a week after President Museveni cancelled his scheduled trip to Kigali ahead of the signing of the African Free trade protocol. Top on the agenda of the meeting is expected to be the deteriorating relations between the two countries. Mr Museveni cancelled the Kigali trip after his security detail and that of Rwanda failed to agree on his travel details. Kigali accuses Kampala of harassing, detaining and wrongfully persecuting it’s citizens. Late last year, Kigali wrote a protest note to Kampala, questioning the Uganda authorities’ decision to arrest some of its citizens, including Rene Rutangugira, Gisele Gatsinzi and James Bayingana.